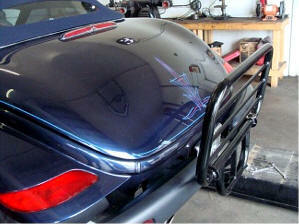 Designed specifically for the Plymouth Prowler - exact FIT! 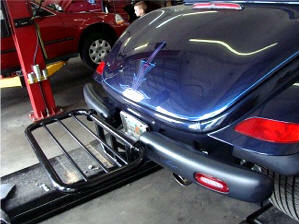 Light weight all aluminum Prowler luggage Rack. Easy to install and take off. Fold's up or fold's down, locks in place. 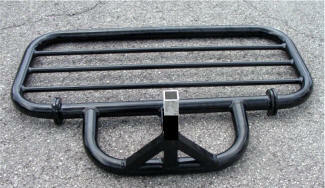 Designed specifically to fit the Prowler 1.25" trailer hitch receiver. 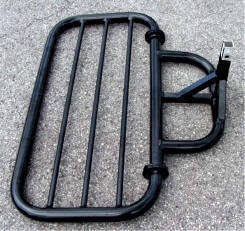 Load should not exceed the maximum ton weight of your hitch. 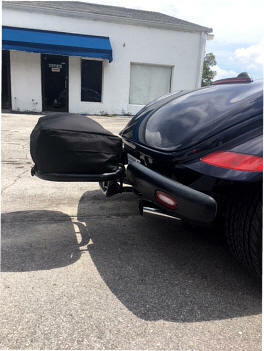 Inserts into your Prowler Trailer hitch receiver. 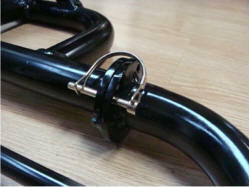 Locks in with your 1/2" hitch pin. Powdered coated black. TIG welded for extra strength. Comes with set of two safety pins. Carries up to 75 pounds. Folds up when not in use see pictures. 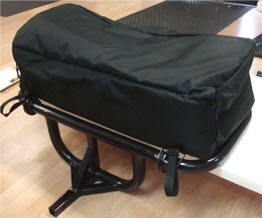 Includes large deluxe storage bag 33" long x 16" wide x 9 inches" high, weather resistant. 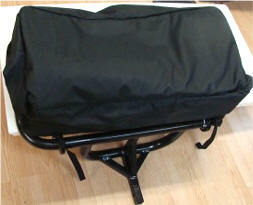 With FREE Large Luggage Rack Storage Bag! FOLD's UP - locked up to stow position. FOLD's DOWN - Locked down to carriage luggage. Shown with luggage bag included. 4.75 Cubic Inches, 33" long x 16" wide x 9 inches" high. 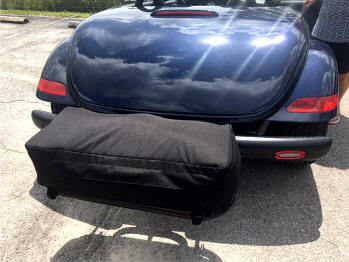 Water-resistant Luggage rack storage bag keeps cargo dry and safe while driving! 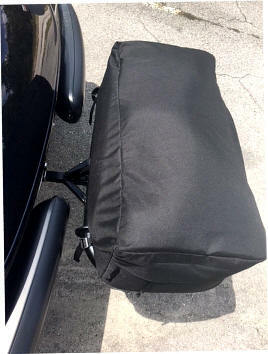 The storage bag has a large 4,752 cubic inch compartment which attaches to a front or rear Storage rack with (4) built-in tie-down straps. 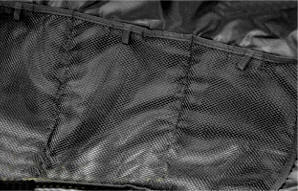 A full-length zipper and weather flap secure the cargo storage area and reduce moisture from entering. 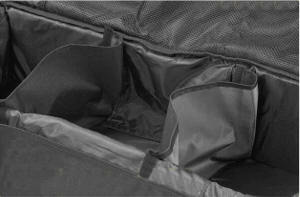 Larger cargo can be organized into three sections with Velcro fabric dividers. Smaller items may be secured in one of (3) mesh storage pockets. Made with 600D polyester fabric designed to stand tough weather conditions. 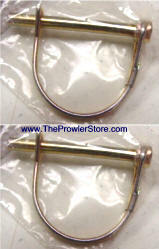 Replacement metal locking safety pins. Set of 2.